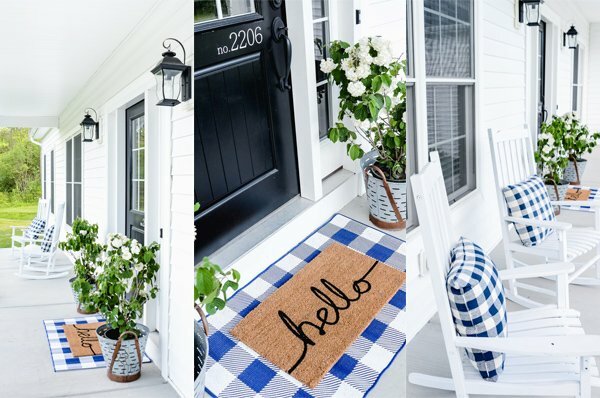 Y’all know that I love simple projects–ones that don’t take a long time, are easy to do, but are darling, all at the same time! 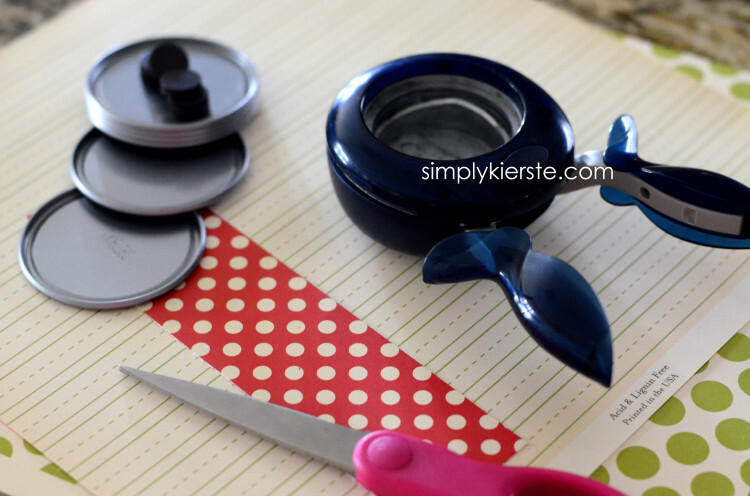 These juice can lid magnets fit the bill for each of those things, I love them! I have a large magnet board hanging above the kids’ backpack hooks, and I really wanted and needed some magnets for it. Enter in…juice can lids! I’ve used them for so many projects, and I LOVE them. These literally took less than 10 minutes to make–love that! 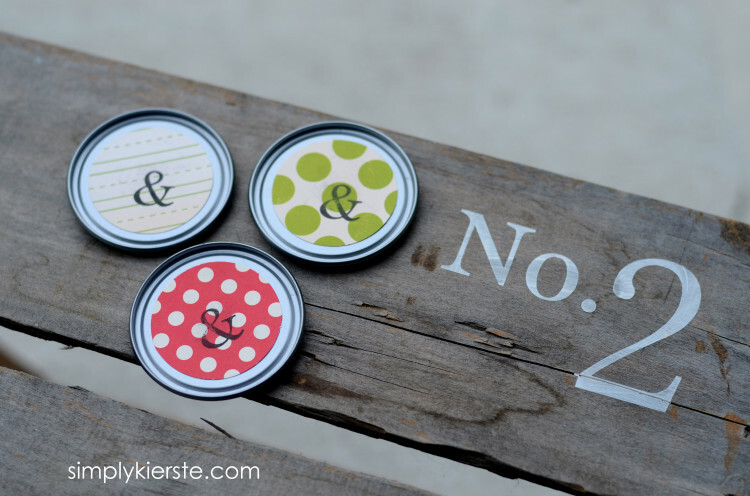 These would be so cute in a locker, on a fridge or magnet board, or anywhere magnetic! Use photos instead of paper for an even more personalized look or gift. I used ampersands, but you could also use initials–one for each child or person–or the initial of the person you’re giving them too. The sky’s the limit!!! 1. Using the circle punch (or use a glass to trace on to paper) and cut out the desired paper or photos. If you’re going to add text, now’s the time to do it! I used a stamp to add the ampersand, but you could do initials, quotes, names, whatever you like! Distress the edges if desired. 2. With the foam brush, add a little mod podge to the top of the lid, then center your paper/photo on it. Use a little more pod podge to cover the paper/photo. Let dry completely. 3. Hot glue the magnet to the back. Seriously–that’s it!!!! SO easy, and SO fun!